Renovating your beach house, or designing your own cottage at the shore? 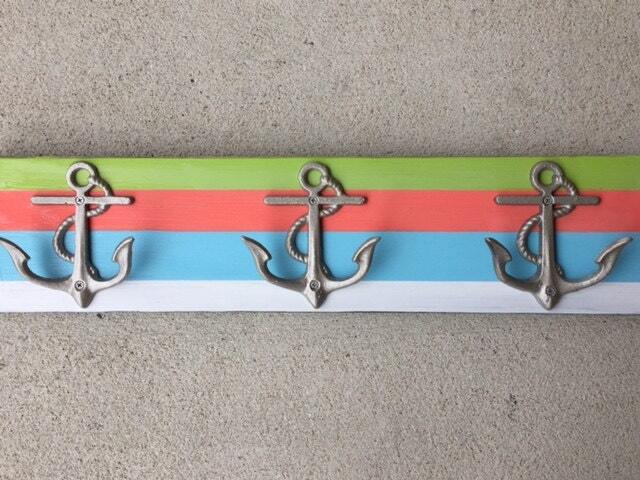 This anchor towel rack in bright stripes is a new design we created in popular beachy colors, and it has already sold in our store in the Outer Banks: Beach House Dreams and here in our etsy shop. 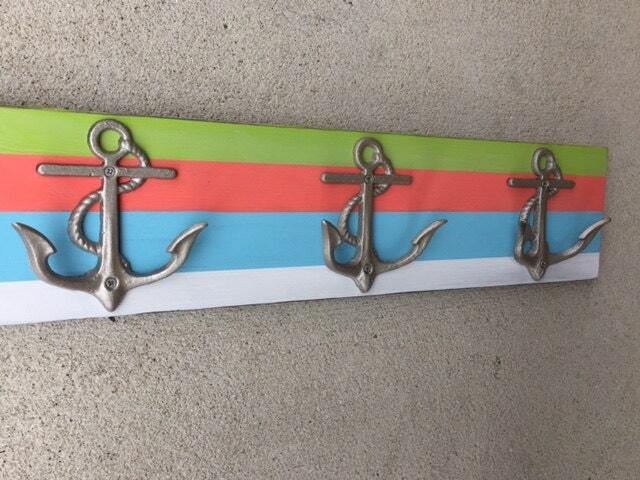 This listing is for a board approximately 40" long, with 8 hooks or boat cleats , on the gorgeous stripes exactly as shown, lightly sanded, in: Pistachio green, coral, robin's egg blue and white. 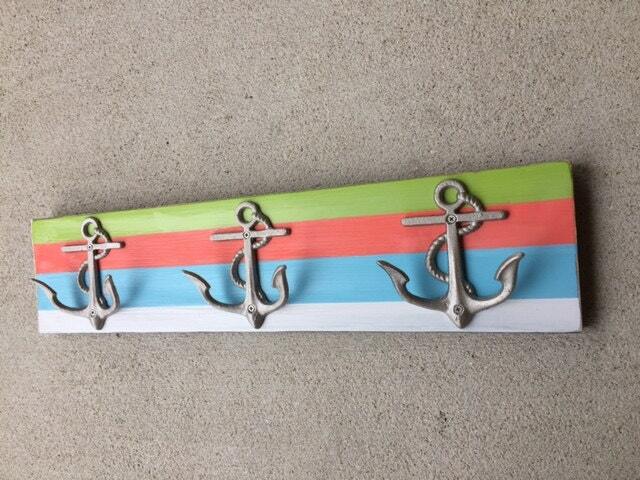 This design is also available other lengths and various hook configurations. 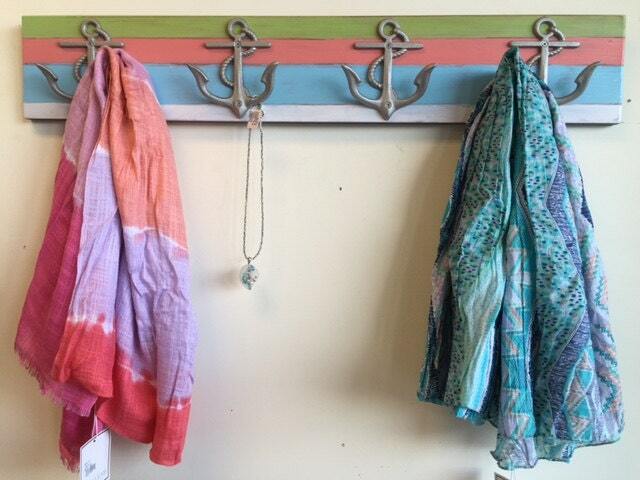 We use premium wood for all our towel racks, with indoor/outdoor paint, and it comes with 2 d ring hangers on the back. 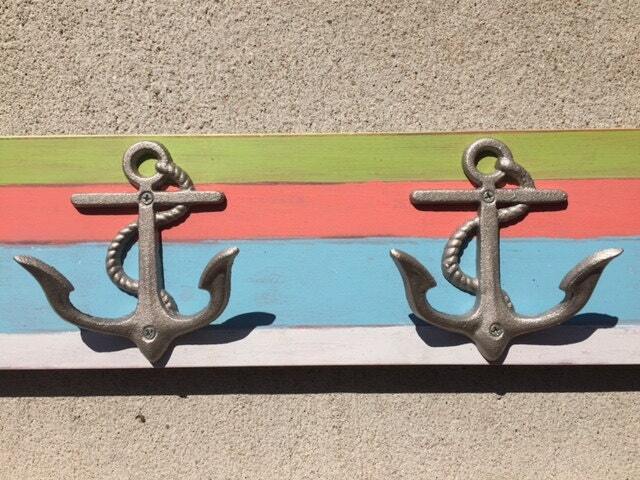 You can use anchor toggles with screws for secure hanging, or even screw all the way through the wood into your walls.